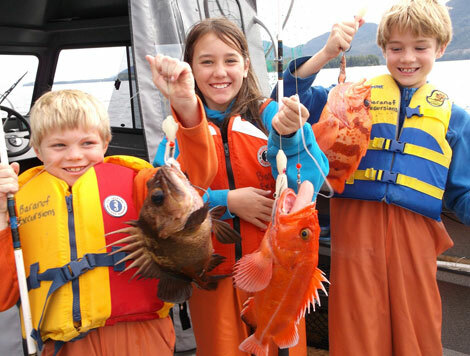 Baranof's tips for introducing your kids to Ketchikan fishing. We find the young people who grow up in Southeast Alaska have an unbridled curiosity, passion, and capability rooted in the landscape right outside their backdoors. Whether it comes from poking around the rockiest beaches looking for sea glass or critters in the tide-pools; paddling across the narrow part of the channel to explore a neighboring island in the family rowboat or kayak; or the hours spent out in their Grandpa’s cabin cruiser trolling for that prize King salmon since before they could talk, it doesn’t quite matter. 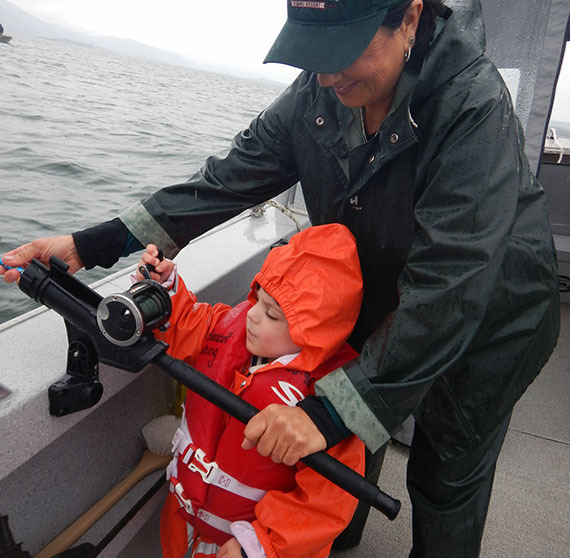 You’ll be hard pressed to find a kid growing up in Ketchikan who doesn’t love the ocean – or to find a crew of fishermen more excited to instill that same wonder in the children visiting our community and going out fishing for the first time. What I have found excites our son is to explore and fish the many ecosystems available in these waters all within a single day. Start your morning out by running out to drop crab pots; fish for some salmon or try for a halibut; pause at your favorite rocky shore to do some beachcombing; take a walk into the Tongass National Forest and find a bush full of wild Alaskan blueberries; and then wrap up your day by pulling the crab pot to see what bottom dwellers crawled in there. Mixing up the day allows you to see more of what this beautiful country has to offer and will send you home with a rich collection of experiences and memories. 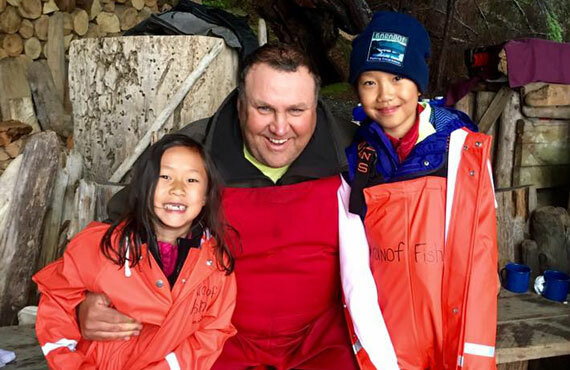 While we understand some folks can be understandably nervous to take their children out on the water on a fishing trip, we’re here to help facilitate an experience that brings the whole boat home with smiles on their faces and stories to share. Baranof Excursions would love your collaboration to help you make the best trip possible. Baranof Excursions has a remote campsite on a wilderness beach south of Ketchikan, ready for your arrival with your fresh-caught fish. Pull up with your guide in one of our boats, and step ashore to meet our campsite host. In just a few short minutes, we’ll quickly cook up a fresh bouillabaisse featuring your catch for you to enjoy by the comfort of a crackling beach fire, accompanied by beautiful views of the rainforest and the wild, rocky shoreline of our private beach. When we have a kid out on our tour, we’re trying to create an experience for them that is both educational and fun, but we’re not trying to force them to have the experience we want them to have. Especially with longer trip lengths, we expect that kids will have some highs and lows. Our job is to allow them the space to engage with fishing on their own terms and at their own pace: focusing the trip on the excitement and enjoyment of the child often makes for the most pleasurable trip for everyone. We don’t want fishing to feel like doing the dishes! We’re hoping to create a space where a kid can learn to love fishing just as much as we do simply by having the chance to experience a day out on the water. Knowing when a kid is ready to go home or be stimulated by new conversation or activities is key in their enjoyment of a fishing trip. 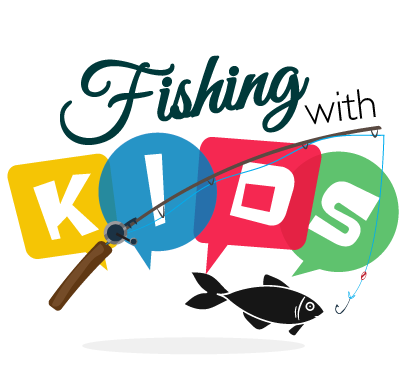 Most kids have limited attention spans, so let’s have a goal to keep the fishing active. Lots of bites mean better opportunities for learning! 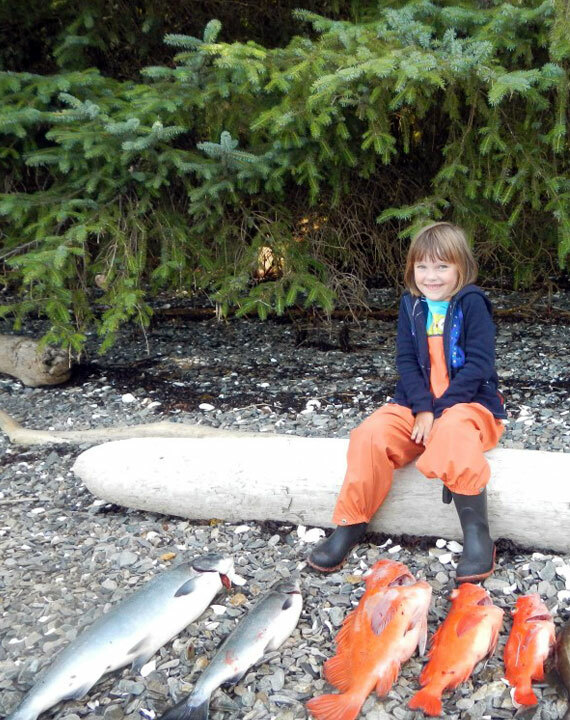 While you might have your eye on that prize King salmon, the three to four hours it may take to hunt it down could be at the expense of the excitement that active silver or pink salmon will bring to a boat with a child aboard. And, while fishing with Baranof Excursions, we’d rather you take a day off or rearrange your fishing party day-to-day if this best maximizes the overall fishing experience. Maybe the avid fisherman fish three days in a row, and part of the family takes the day off to do other excursions before joining you again the next day. Matching the amount of time off the water can add to the overall experience of visiting Southeast Alaska, so we encourage you to take breaks enjoy other activities. Don’t burn a kid out! 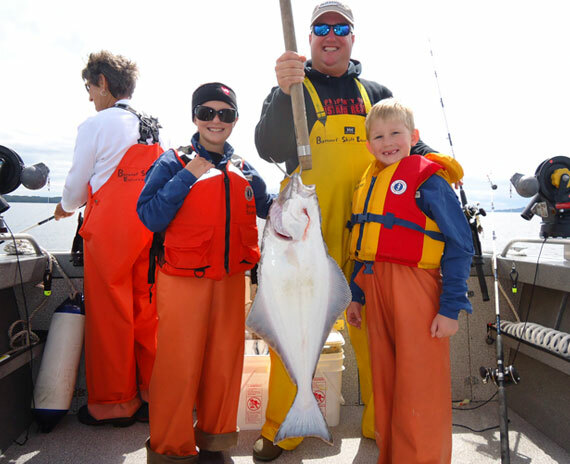 At Baranof Excursions, we provide the outdoor gear that should keep you and your kids comfortable and (mostly) dry during your time out fishing. Our biggest piece of advice for comfort? Don’t be afraid to layer up on the heavy side when heading out onto the water! It’s much easier to cool down while out fishing than it is to warm up after you’re already cold. Layers come off, but if you don’t bring them with you, you can’t put them back on. Additionally, kids are more prone to seasickness than adults, so be sure to come prepared to combat any upset tummies! Sometimes, as adults, we forget how quickly our kids learn and grow, and this can come at the expense of their enjoyment if not moderated. 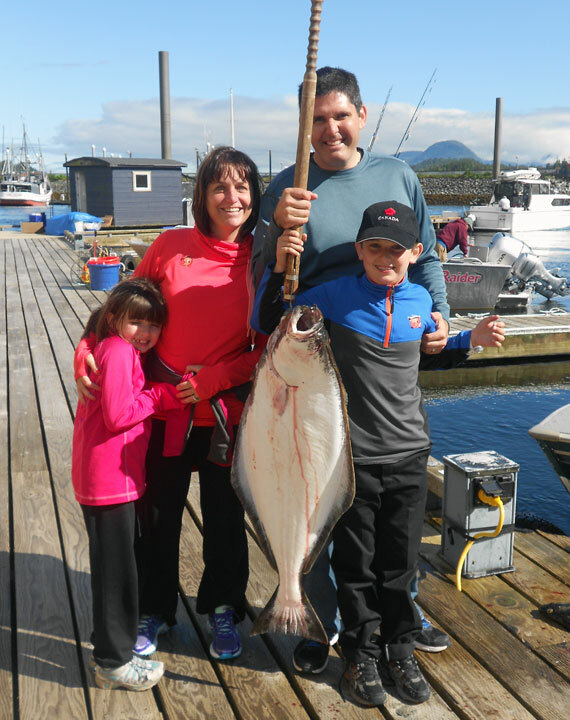 A big King or Halibut can easily overwhelm a child or an adolescent, but as a parent, grandparent, or adult family member, we really challenge you to walk the fine line between allowing the child to push their limit and offering assistance. Think of yourself as their fishing mentor! When twisted leaders, snags, or lost fish occur, make it a fun time rather than a problem. If these issues come up—and they will!—it is small potatoes in the whole scheme of life. So focus on all the things they are doing correctly, not on the occasional challenge that comes up. And, importantly, don’t jump in when the child is motivated to fight the fish but to be accessible when it’s time to step in so the fun isn’t taken away. These are the story-building moments that can help lead a kid toward a genuine enjoyment and love of fishing. When it all boils down, we at Baranof Excursions are here to help you, and we’re happy to troubleshoot any of your questions or concerns! Please let us know what ways we can help make your trip the best possible for you and your child. And whatever course the day takes, we’re all here to have fun, and we can’t wait to share Southeast Alaska with you and your kids!